Rosemary, those benches were a steal for that price! I love the color of the settee! 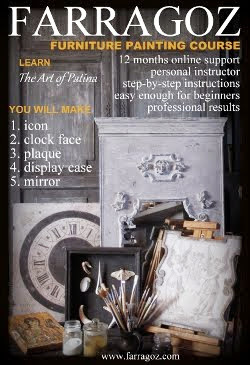 If owned it I would not change a thing other than polish up the wood. It is beautiful! Call me next time before you go so I can follow you! I would have done the happy dance if I had found that setee! Can't believe only $7.50 for the benches. great finds as usual, Rosemary! 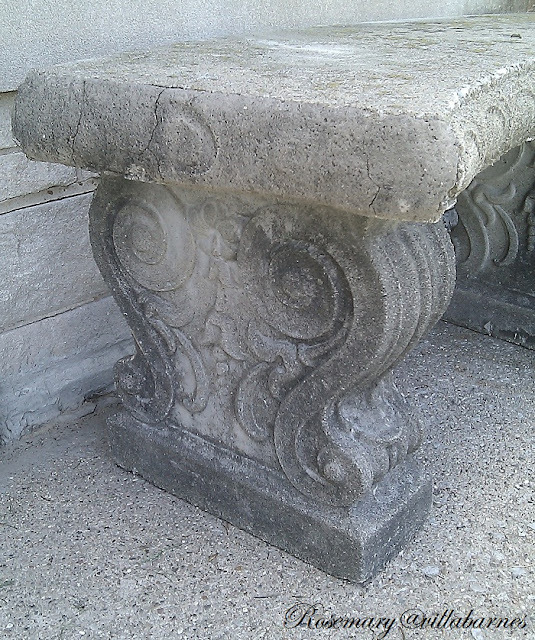 I have one of those concrete benches out front, pretty pricey at Lowes! Wow! Those are amazing finds, Rosemary. I'd say you had a great weekend! 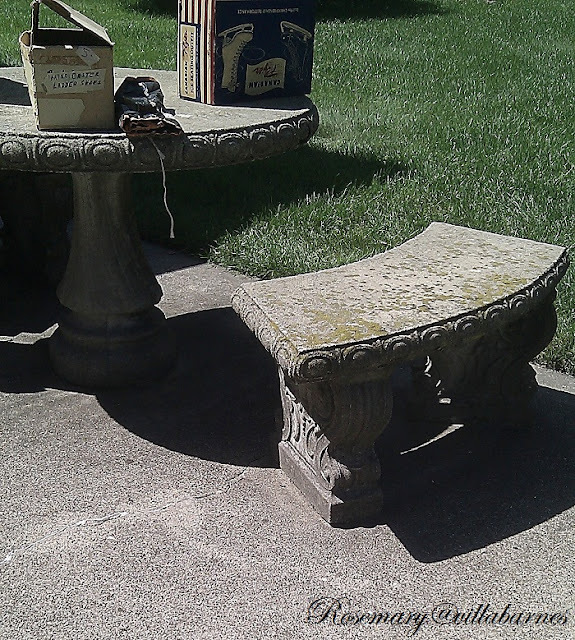 Great finds, love the benches, and what a bargain!!!! You really found some great buys! I love the benches even without the table. Great settee too. Rosemary...I bet the cement benches were so dang heavy - good thing you brought "big guns". 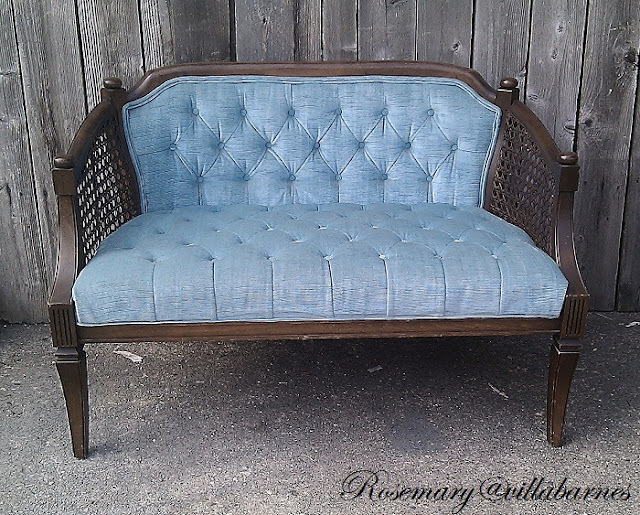 The blue fabric is really pretty on the settee - hardly looks used. Lucky day. Love the benches. I have four of the concrete bench legs that I got for a dollar each some where and am deciding what to do with them. I always make Joe lift heavy concrete-he rolls his eyes but does it. 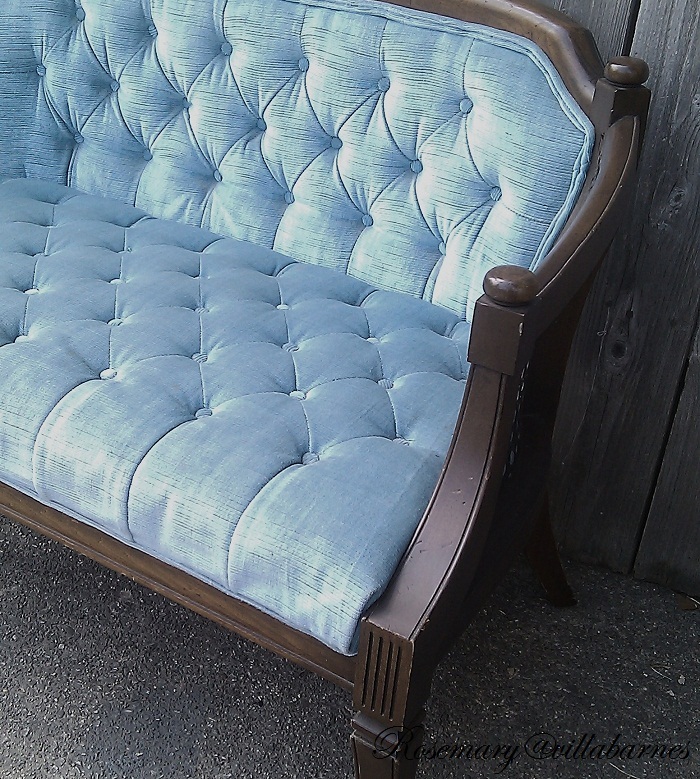 The blue settee is lovely and I can imagine you might paint it. Wow! what terrific finds. 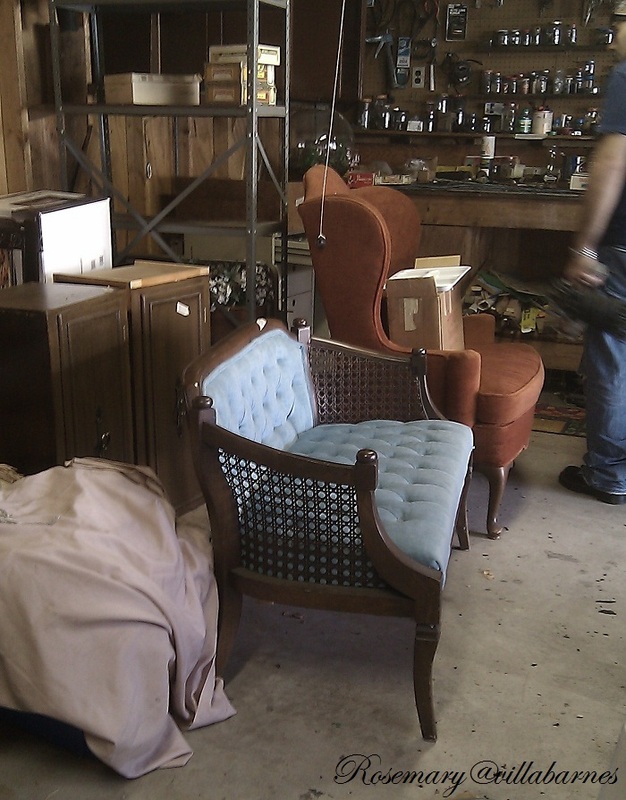 Professionals come in to run estate sales in my area, so prices tend to be higher than lower. What a dealio! 7.50 SCORE! I like the setee too. 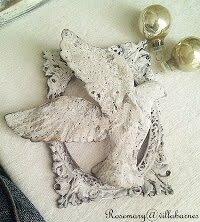 Gorgeous finds! I especially love the settee! I'd love one like that. 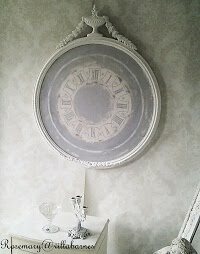 The sight of the tufting made my heart go pitter pat, but the thought of a cement top falling on my foot made me twitch! OMGoodness, Rosemary! That settee is gorgeous! 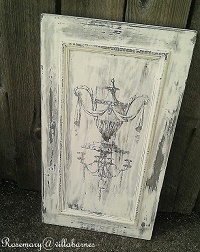 What a find, I would love to find one like that for my home. Lucky you! Oh my goodness, what a bargain and a half! Sounds like you had a fun weekend! Your finds are incredible. Our weather was lovely today too. I spent some time outside and it definitely was enjoyable. Have a good (and productive) week! 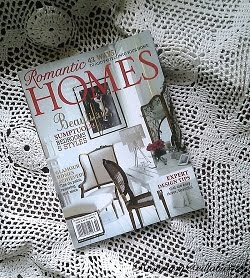 Rosemary, that settee is gorgeous just the way it is, but I can also see it painted white. And I imagine that you will be adding your touch to those concrete benches. Can't wait to see what you do. Wow! you did land some awesome finds!! Lucky girl. 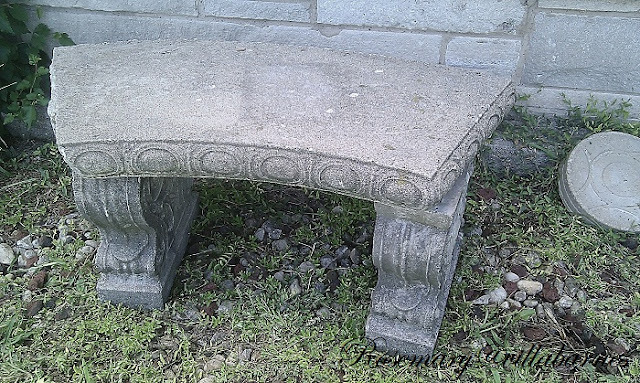 I love the concrete benches!! I have a chair that matches your settee! but has gold upholstery. The upholstery and caning are in perfect condition. My mother in law bought it a garage sale for $5. 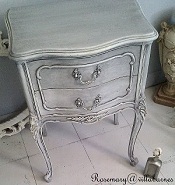 I plan on painting it white and adding some shabby chic fabric. I just spent a couple days making over some thrift store finds. Hope you will drop by for a visit. Oh.my.goodness!!! I'm so in love with that settee. I can just picture it painted in a gorgeous white with the blue upholstery still in tact. 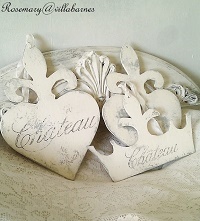 Then add a few french pillows to it and ooh la la it's beautiful! I would've had to knock you down for that one had I been there. Ha! Can't wait to see you refurbish it. Came over from Debbie's grad party. The benches are a great deal and I love the caned settee! 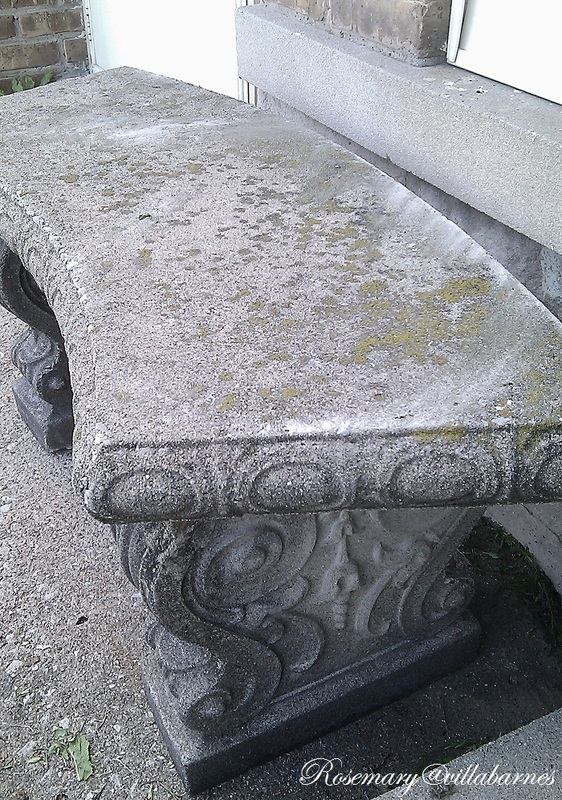 i am curious if you will stain or paint the concrete benches? I love those benches--what a deal! That settee is also awesome--the upholstery looks perfect and looks like it is a really good color too. You lucked out! Great finds. I love that sofa and the concerte is nice and old looking just the way I like it. 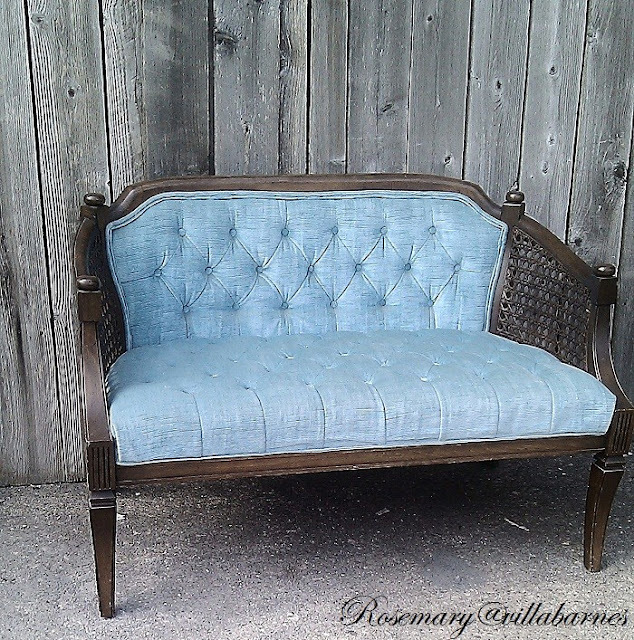 The benches and settee are gorgeous Rosemary ~~ An unbelievable price, I could only imgaine how much it would have gone for around my neck of the woods. I look forward to see what color choice you choose. I have one bench like that and love it. And yes, they are HEAVY! Can't wait to see what magic you work on the settee. Good finds! OMGoodness Rosemary you scored this weekend! I love the settee!! Wow, you always find the best pieces! What a great deal on the benches! That was a steal! I know you have big plans for the settee. Can't wait to see what you do! I love those benches Rosemary and they look like they have a nice patina to them! Hi Rosemary: The cement benches are lovely and a fantastic price, and I love the blue settee--gorgeous! You found some great bargains, love the sette, to bad about the table but the benchs are neat, you don't see those so much anymore! You are a busy lady - with great results! Rosemary you found some real treasures. Love it all.